Eddie Chambers is an Associate Professor, History of Art, at the University of Texas at Austin, teaching visual arts of the African Diaspora. Britain’s Black artists, from the 1950s onwards, including recent developments and successes. Black Artists in British Art represents a timely and important contribution to British art history. Utilising substantial and hitherto little-accessed bodies of archival material, Chambers avoids treating and discussing Black artists as isolated practitioners, wholly separate and disconnected from their counterparts. 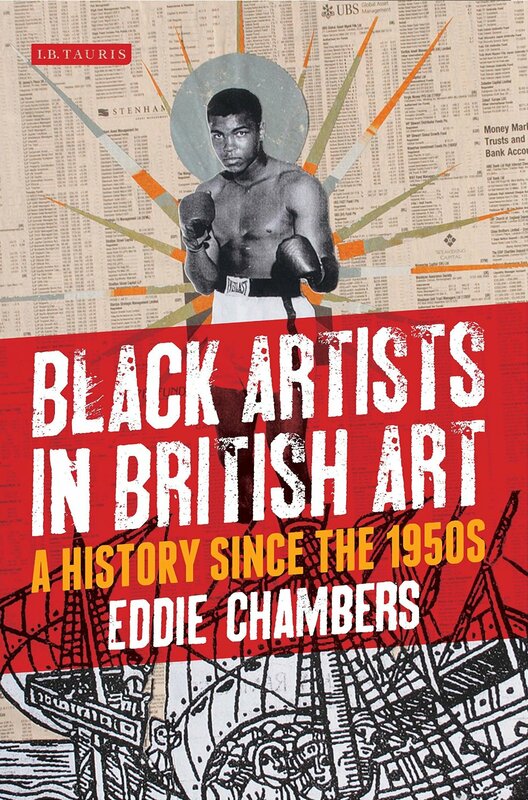 Neither does he seek to present a rosy and varnished account of Black-British artists. Instead, he explores and reflects on the very real difficulties that have faced Black artists throughout the decades of their practice. Beginning with discussions of the pioneering generation of Black artists such as Ronald Moody, Aubrey Williams and Frank Bowling, who came to London either side of the Second World War, Chambers candidly discusses both the problems and the progress of several generations of artists, including contemporary artists such as Steve McQueen, Chris Ofili and Yinka Shonibare, now numbered amongst the country’s most accomplished practitioners.